You know your bike culture is strong when people are having a hard time finding a place to park their rides – and that’s just what’s happening in Amsterdam right now. The Dutch city is running out of room for the 880,000 bikes that travel – and park – along its canals. In an effort to deal with the problem, Amsterdam is planning to create 40,000 new bike parking spaces by 2030. The city has invested for years in its bicycle infrastructure and combined with the flat, cycle-friendly terrain, a huge bike culture has developed around that effort. But now the problem of where to park all these bikes has reared its head. But fear not, there is a plan. If this sounds like a massive undertaking, you’re right. But in Amsterdam it’s a necessity, not an option. Bikes are serious business in the city, with 57 percent of locals using their bikes daily and 43 percent commuting to and from work via their bicycles. Errantly parked bikes are such a problem there that the city had to remove 73,000 improperly parked bikes from the streets, at a cost of $55 to $80 per bike to remove them. Owners then have to pay $12 to $14 to retrieve them, amounting to a whole lot of cost for everybody. You know your bike culture is strong when people are having a hard time finding a place to park their rides - and that’s just what’s happening in Amsterdam right now. The Dutch city is running out of room for the 880,000 bikes that travel – and park – along its canals. 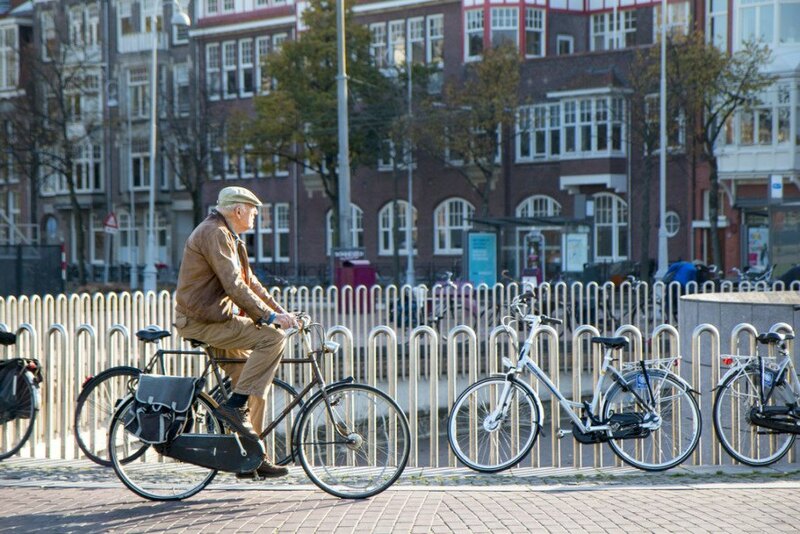 In an effort to deal with the problem, Amsterdam is planning to create 40,000 new bike parking spaces by 2030. You know your bike culture is strong, when people are having a hard time finding a place to park their rides. And that’s just what’s happening in Amsterdam right now, where the Dutch city is having a hard time finding room for the 880,000 bikes that travel – and park – along its canals. 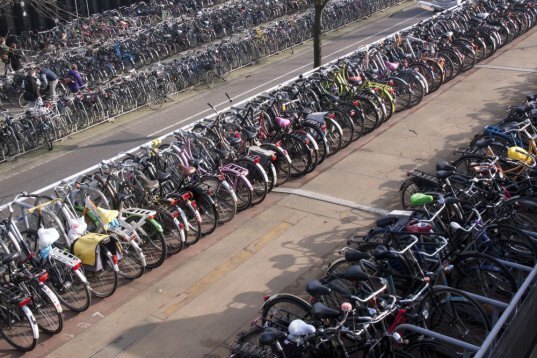 In an effort to deal with the problem, Amsterdam is planning to create 40,000 new bike parking spaces by 2030.